As he sits at the piano, Nachito Herrera starts a classic composition so subtly that, at first, even an experienced listener doesn't immediately recognize the melody. A master of classical music, Cuban genres and jazz, Herrera draws on a variety of influences to shape a tune. But within a few measures, his melodic path becomes clear and the enduring jazz standard "A Night in Tunisia" begins to soar. Herrera, 48, has won acclaim for his virtuosity since the mid-1990s, when he began touring with Cubanismo, an ensemble that sent Cuban musicians abroad. He credits the band with introducing him to international audiences, including those in the United States, where the group began their tour at St. Paul's Ordway Center for the Performing Arts. On Sunday, Herrera will return to the Ordway, bringing a 16-piece Cuban band with him. The Minnesota Youth Symphony Orchestra will join them in a concert that will spring from his mastery of classical music, Afro-Cuban styles and jazz. The show is part of part of the Ordway series "Raices y Sueños (Roots and Dreams): The artistry of Cuba." For Herrera, the concert is sure to bring back memories. "The Ordway Theater was the first — the very first — place I played when I came to the United States for the first time, not even speaking English, not even speaking Spanglish," Herrera recalled. "I didn't even know how to say water or bathroom. So it was kind of hard time for me." 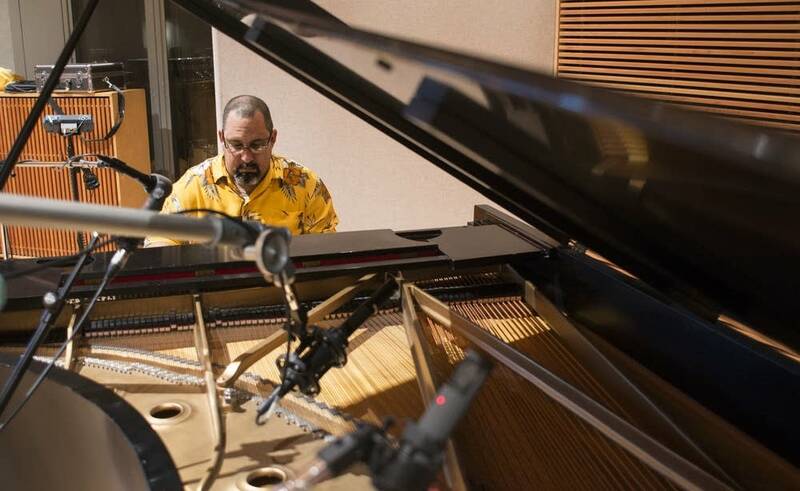 Since moving permanently to the United States 13 years ago, Herrera has established roots in the Twin Cities, where he regularly performs at the Dakota Jazz Club. His daughter, Mirdalys Herrera, sometimes joins him on vocals, as she will on Sunday. 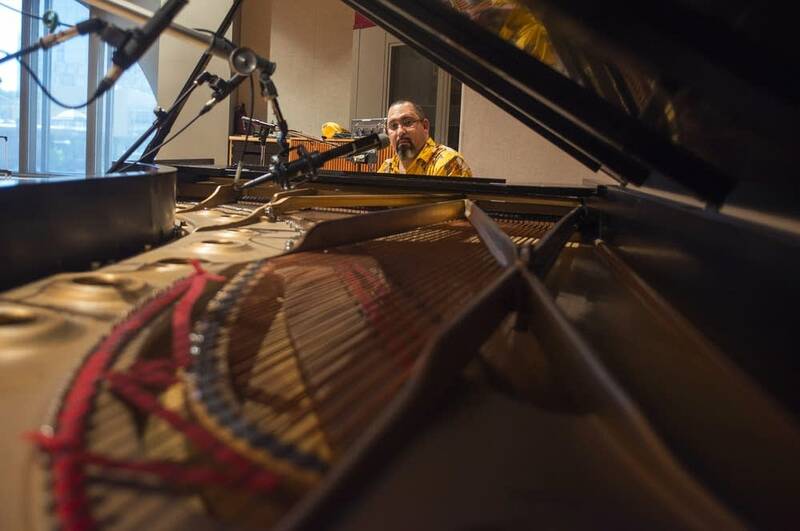 At first, Herrera found it difficult to connect with concertgoers in Minnesota who were not familiar with Cuba's rich musical history, or with Latin jazz. "And I start[ed] to have my drummer play some kind of combination in between Latin jazz and having the jazz rhythm behind just to start to introduce to our community the wonderful combination." Herrera also aims to inform the local audience by citing trumpeter Dizzy Gillespie's famous collaboration with Cuban drummer Chano Pozo in the 1940s. "They were just playing swing, and Chano Pozo brought his congas and started to incorporate some Cuban rhythms into that," Herrera said. "For me, that's a great beginning of the Latin jazz style." But much of Herrera's playing is rooted in Cuban music, which he did not explore until he was about 18, following a rigorous classical music education, with a focus on composers like Rachmaninoff and Chopin. His immersion into Cuban genres — from danzón and cha-cha-chá to son, guaracha and guaguancó — came while studying alongside some of the island's most accomplished performers, such as violinist Enrique Jorrin and pianist Ruben Gonzalez, who was featured on the Buena Vista Social Club recording. Herrera's musical education stressed the important link between music and dance, and emphasized the clave — the 3-2 beat that underlies much of Cuban music. Born in Santa Clara in the middle of Cuba, Herrera moved with his family to Havana when he was a boy. His father, also a musician, had a big band there that played a variety of musical styles, including jazz tunes by Duke Ellington and Count Basie. The 1940s and '50s brought with them the Golden Age of Cuban music, but after Cuba's 1959 revolution, North American music was popular on the island — well into the 1970s, when Herrera came of age. In the years after the revolution, collaborations between musicians in Cuba and their counterparts in the United States ended as their respective governments made in-person collaborations more difficult. In the United States, that led Cuban performer Celia Cruz to turn to Puerto Rican musicians like Tito Puente to help keep Cuban music alive. But today, Cuban musicians are coming back — and some, like Herrera, have chosen to stay. He thinks a new musical conversation between Cuba and the United States is emerging. "Now I am seeing a big opening for even American great musicians go to my country and perform there," Herrera said. "One of the most important jazz representations we have — not just in United States [but] everywhere — Mr. Wynton Marsalis with the Lincoln Center Orchestra have been able to play in my country. So many great musicians have been able to go." Herrera, who has made several returns to his homeland in recent years, said he's been inspired by the sounds of modern Cuba. He includes touches of timba, the fiery contemporary dance music, into his work, a nod to the venerable ensemble Los Van Van, which Herrera considers "the most legendary dance orchestra ever" in Cuba. "You don't want to get stuck on the kind of style you created," he said. "I like to always keep my ear open."